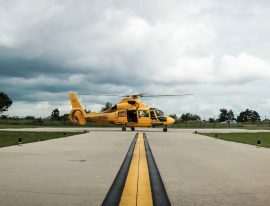 Ørsted has signed a contract with the NHV Group for the provision of helicopter services on the Borssele I & II project, starting from May 2020. 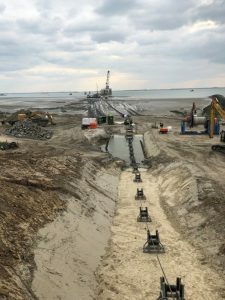 Ørsted has started building the operations and maintenance (O&M) base for the Borssele 1+2 offshore wind farm in Vlissingen-Buitenhaven at the North Sea Port, the Netherlands. 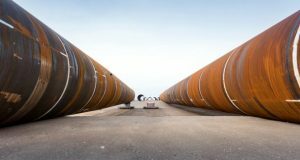 Bladt Industries has secured a contract to build additional 24 transition pieces for Ørsted’s Borssele 1 and 2 offshore wind farm in the Dutch North Sea. 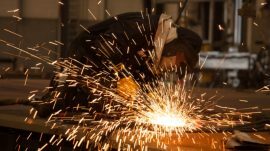 The France-headquartered Vallourec is supplying structural tubes for the Borssele Alpha and Beta offshore transformer stations in the Dutch North Sea. 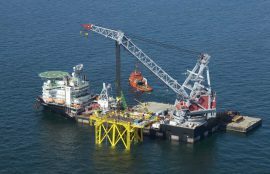 Ørsted has awarded Atlas Professionals with a contract to supply personnel for the Borssele 1 & 2 offshore wind farm in the Netherlands. 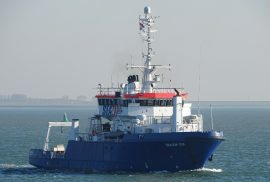 SeaZip Offshore Service’s vessel SeaZip Fix is currently working on the export cable route at the Borssele 1 & 2 offshore wind farm in the Netherlands. 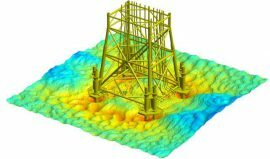 Van Oord has selected Tekmar Energy’s Cable Protection System (CPS) TekLink® Mechanical Latch for the Borssele III & IV offshore wind farm. 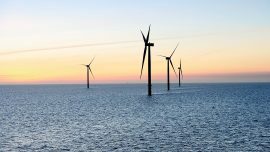 Ørsted has selected ERSG to supply temporary specialist staff for the Borssele 1+2 offshore wind project in the Dutch North Sea. 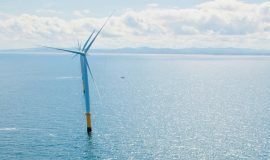 Ørsted has added Bladt Industries, Nexans and Cordeel to the list of suppliers and contractors for the 752MW Borssele 1 and 2 wind farm in the Dutch North Sea, according to Henrik Egholm, EPC director Borssele 1 and 2. 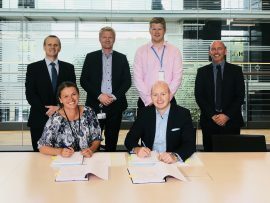 UK-based EEW OSB has secured a contract to provide 35 transition pieces for Ørsted’s Borssele 1 + 2 offshore wind farm in the Dutch North Sea. 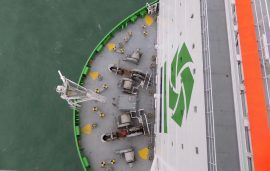 Ørsted has awarded DEME’s GeoSea with a contract for the transportation and installation of 94 foundations and wind turbines at the Borssele 1 & 2 offshore wind farm in the Netherlands. 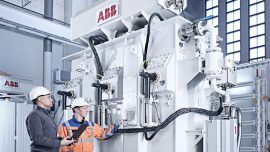 ABB has won an order worth over USD 20 million from MHI Vestas to supply its WindSTAR power transformers for the 9.5MW turbines due to be installed at the Borssele III & IV offshore wind farm. 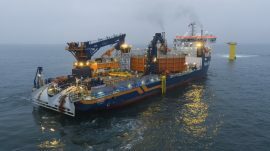 Seaway Heavy Lifting’s vessel Oleg Strashnov has installed the jacket foundation for TenneT’s Borssele Alpha offshore transformer station in the Dutch North Sea. 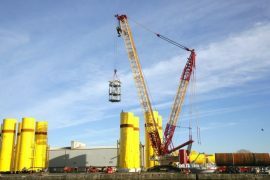 HSM Offshore has loaded out onto a barge the jacket foundation for the Borssele Alpha offshore transformer station at its yard in Schiedam, the Netherlands. 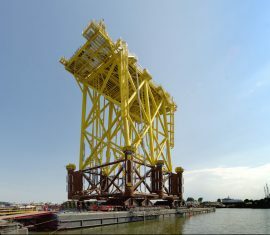 TenneT and HSM Offshore will hold a load-out ceremony for the jacket foundation of the Borssele Alpha transformer station in Schiedam on 26 July. 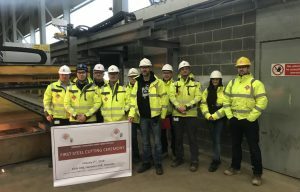 Tekmar Energy has won a contract to provide its patented Cable Protection System (CPS) TekLink® Mechanical Latch for Ørsted’s Borssele 1&2 offshore wind farm project in the Dutch North Sea. 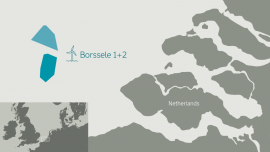 Ørsted has obtained final permits to construct the operations and maintenance (O&M) facility for the Borssele 1 & 2 offshore wind farm in Vlissingen-Buitenhaven at the North Sea Port, the Netherlands. 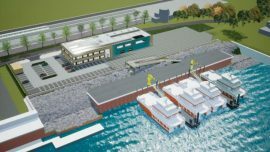 The Blauwwind consortium has achieved financial close on the Borssele III & IV offshore wind farms in the Netherlands, moving the project to the construction phase, with the main offshore works due to start in the fourth quarter of 2019. 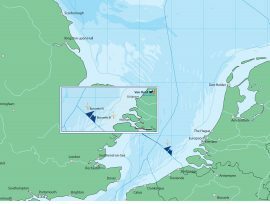 Prysmian Group has been awarded a contract by Van Oord Offshore Wind B.V. to provide a submarine inter–array cable system for Borssele III & IV offshore wind project in the Dutch North Sea. 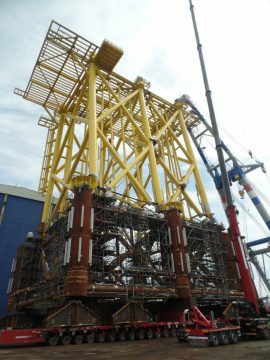 Work on the jacket foundation for the 700MW Borssele Alpha offshore transformer station is in full swing at HSM Offshore’s yard in Schiedam, the Netherlands, as this photo shared by Ørsted shows. 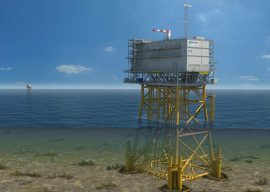 The industry has been waiting for Vattenfall to give out more information on its Hollandse Kust Zuid 1 & 2 zero-subsidy bid after the company won the Dutch tender in March, especially since Ørsted – world’s leading offshore wind developer and one of the first to have unsubsidised projects in the pipeline – decided to pass on bidding to build the offshore wind farm.